Once again the winter is whizzing by and we've only 8 weeks left until the end of the season! 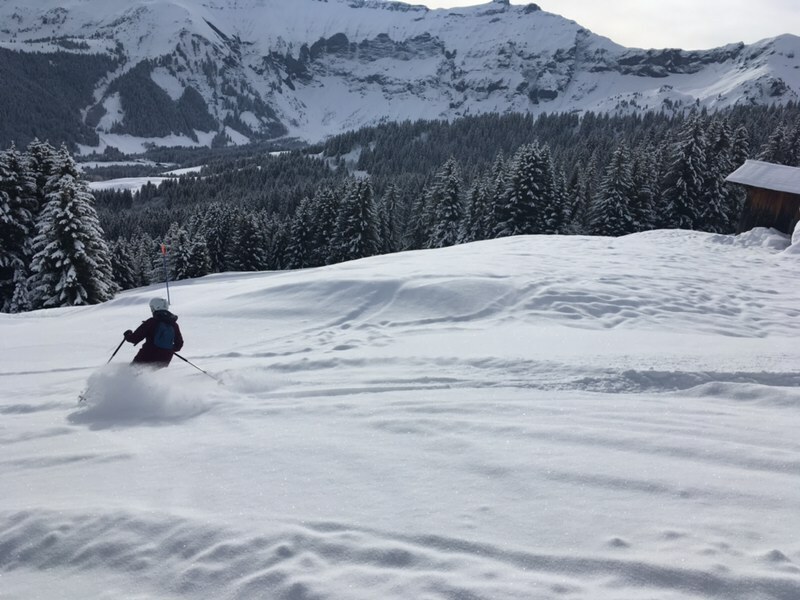 We've had fantastic snow in Megeve with a meter down in the town and a base of over two meters on the pistes. Our brilliant team of resort staff have been looking after our guests, with top scoring feedback across all accommodation. It's fair to say we're pretty pleased with ourselves... but it's not over yet! We still have a range of short breaks and week long holidays available for this season so now's the time to get booked in. There are some fantastic offers available in both our catered and self catered chalets and apartments with prices starting from just £310 for 3 nights. All you need to do is find your flights and we'll take care of the rest. Over by the Princesse run at Mont D'Arbois is an incredible 3 kilometre toboggan run - excellent fun for kids between 10 and 110 years! This season you'll get a pass for one free ride included with your skiers lift pass. Beware - it's fast and fun. Including 3 turkish baths, 3 saunas, indoor and outdoor pools with jets and jacuzzi's plus free herbal teas, Megeve Tourisme are offering 2 hour passes at the Balneo Palais Des Sports at half price when you purchase a skiers lift pass. Perfect after a day skiing! If you've never skied at Easter or don't think it's for you, think again! Lift passes are reduced by almost 20% and gear hire for kids is usually half price. We're offering unbeatable deals across all our accommodation and still have a range of options available for whatever you need. Gather your friends and family and finish the season in style at the most glorious resort in the French Alps - We're ready and waiting to help you make memories to last a lifetime! So today we were up bright and early and at the bus stop for the 8.40 bus. But no bus. They have changed the bus time table as the French holidays are now over. But we got to Mont d'Arbois soon after the first lift. And then we skied down to the Mont Joux chair which was late opening because of the fresh snow so we went up the Freddy drag and put in some fresh tracks there. They immediately opened the Mont Joux chair so it had been skied a bit but we came down under it because Epaule had not yet opened. Anyway we then did have success on the Epaule. We were on the second chair and first down the off-piste under the lift. As we went up again Ali and Matt and children were skiing down so we joined them and then skied over the back in deep powder to the Porcherry. Seb said he had a spectacular wipe out but no-one, other than his Dad, saw it. The rules of wipe outs are that they must be in front of everyone.